The Iron and Steel Institute, London, 1970. First Edition. Softcover. Very Good Condition/No Dust Jacket. Size: A4 (300 x 210mm approx.). Card covered staple bound publication in clean sound condition. Other issues available. 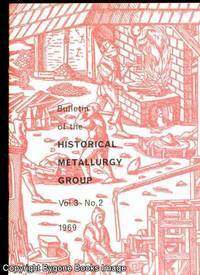 Papers include: Metal mining in the West of England. 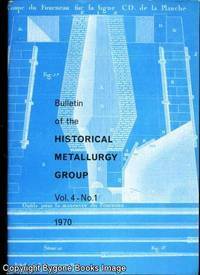 The history of mineral processing in Cornwall. Tour of Cornish mining sites. 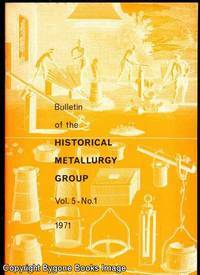 Preliminary research findings relating to the bloomery period of the iron industry in the upper basin of the eastern Rother (East Sussex). 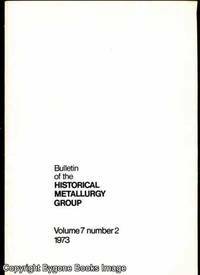 Excavations at Stony Hazel, High Furnace, Lake District, 1968 - 1969: an interim report. Quantity Available: 1. Category: Science & Technology; Britain/UK; Archaeology. Inventory No: 17964..